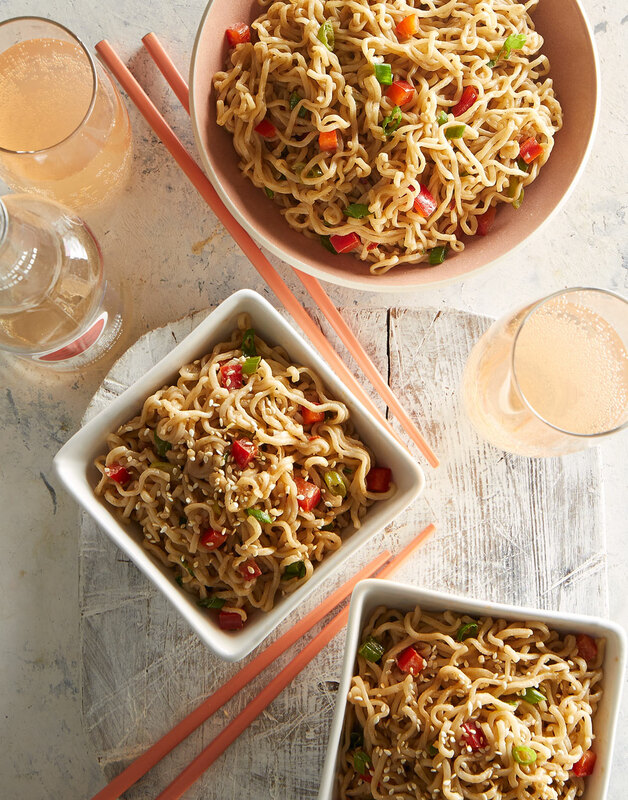 Creamy Peanut Ramen Noodles are a welcomed update to the classic noodles. With help from a few Asian staples, they become a perfect pairing for Tuna Steaks with asian orange sauce. Microwave peanut butter, vinegar, soy sauce, oil, and honey in a microwave-safe measuring cup until peanut butter is melted, 30 seconds. Stir sauce to combine, then season with pepper flakes. Cook noodles in a pot of boiling salted water according to package directions; reserve ½ cup cooking water, then drain and return to pot. Stir in bell pepper, scallions, and sauce; add reserved cooking water until sauce reaches desired consistency.